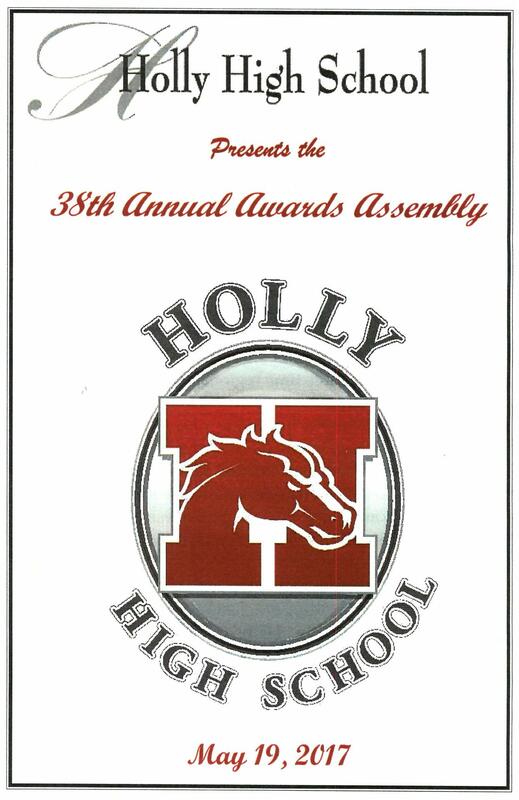 Holly High School held their annual year-end awards assembly in the auditorium this morning. 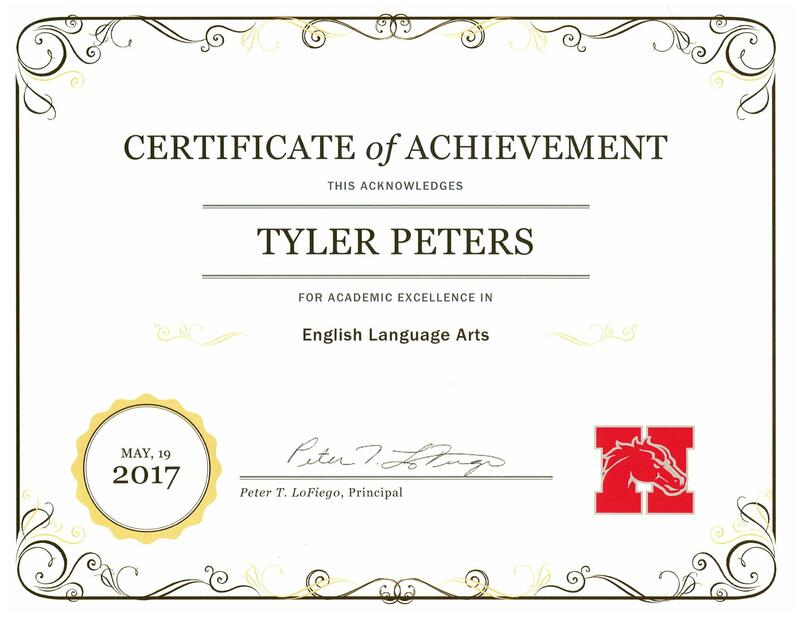 Tyler was honored by a teacher for his work in English Language Arts, his first such award. Congratulations to all of the students honored this morning, but especially to Tyler for his hard work in this class. 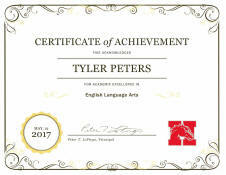 Way to go Tyler! The Awards Assembly book cover. ...and finally the school principal. The Holly High School flag on display. The administration and staff on stage towards the end of the assembly.